Adrayll Gordon is a thirty-two-year-old man who is very ill. He was diagnosed with a rare liver disease called Primary Sclerosing Cholongitis in December of 2015. Since then, the disease has progressed rapidly and he now needs a lifesaving liver transplant. 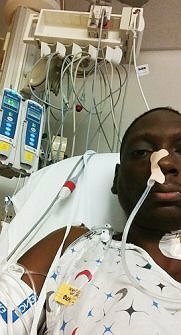 Adrayll needs your help now because the transplant center has told him he needs to raise a minimum of $3000 before he can be placed on the active transplant list. Adrayll loves spending time with his family, watching movies, and he used to enjoy fishing, going to the gym and going to Carolina panther games and practices. 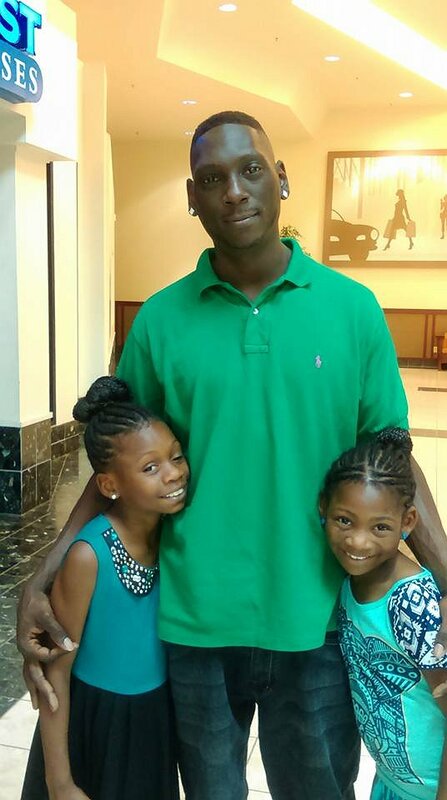 Before he became ill, Adrayll loved playing football, basketball and soccer with his daughters and he is looking forward to the day when he gets the transplant and get back to doing the things that he loved. Transplants are life saving but financially draining. Even with insurance, Adrayll will have many out of pocket expenses because he lives more than three hours away from the transplant center. He has many expenses for travelling back and forth for tests and he and a caregiver are required to stay within fifty miles of the hospital for one to three months post-transplant. Adrayll and his family will graciously appreciate any donation and support. To help with the financial burden of Adrayll’s uninsured expenses, a fundraising campaign in his honor has been established with Help Hope Live, a trusted nonprofit organization that has been providing community-based fundraising guidance to patients and their families for more than 30 years. All donations are tax-deductible to the full extent allowed by law, are held by Help Hope Live in the South-Atlantic Liver Transplant Fund, and are administered by Help Hope Live for transplant-related expenses only. Please consider making a contribution. All your support and encouragement is greatly appreciated and critical to the success of Adrayll’s struggle. On 4/17 i was transplanted. My family and I still need help covering the cost of the life long anti-rejection mediciation. Along with food and travel to and from doctor appointments. Thank you for anything you can do to help us. I hope for a speedy recovery and I'm here if you need anything! Good luck, my friend! Alex, I just found out about your husband this morning..i wanted to do a little something to help. God bless him andd your family. I will be praying for y'all.